Moissanite is one of the rarest minerals found in nature, and we've made it our mission to share its beauty and brilliance with the world. Our experts have recreated moissanite in a lab to deliver you an artfully crafted, socially responsible and eternally brilliant gemstone. Charles & Colvard has been creating moissanite for more than two decades and they have spent this time tirelessly refining the way they producce this beautiful, man-made gemstone. In 2015 they launched Forever One, their premium brand of colorless moissanite that is helping create new standards within the fine jewelry community. 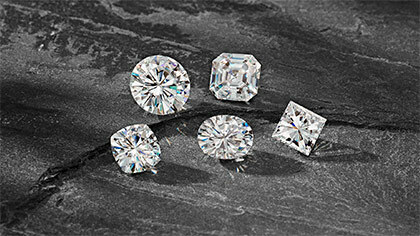 We believe their D-E-F colorless moissanite is of the highest quality available in the market. 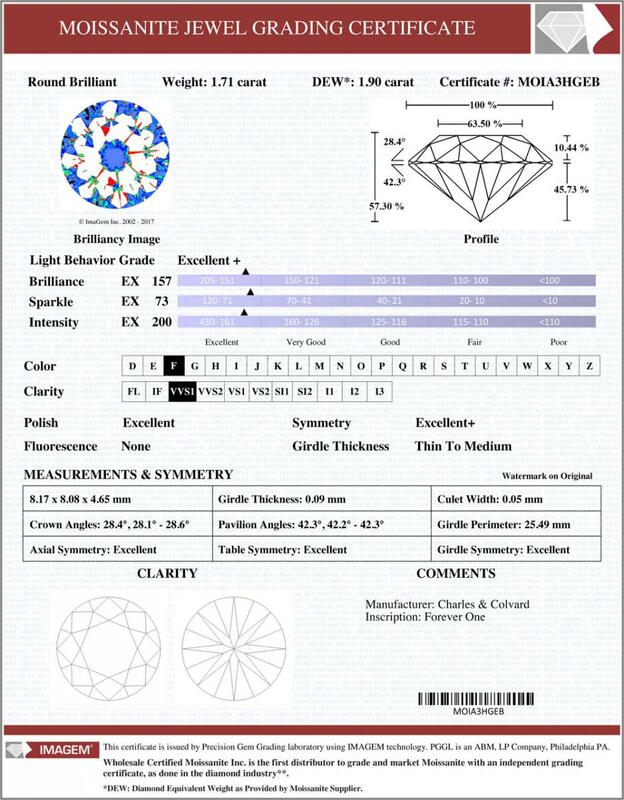 To ensure its authenticity and quality, each certified moissanite gemstone we sell comes with an independent third-party certificate.